Dr. Metin Akay, Harrington Department of Bioengineering at Arizona State University, received his B.S. and M.S. in Electrical Engineering from the Bogazici University, Istanbul, Turkey in 1981 and 1984, respectively, and a Ph.D. degree from Rutgers University in 1990. Dr. Akay is Editor of the IEEE Press Series on Biomedical Engineering. He is the author/coauthor/editor of 14 books, including Biomedical Signal Processing (Academic Press, 1994), Detection Estimation of Biomedical Signals (Academic Press, 1996), Time-Frequency and Wavelets in Biomedical Signal Processing (IEEE Press, 1997), and Nonlinear Biomedical Signal Processing, Volumes I and II (IEEE Press, 2000). 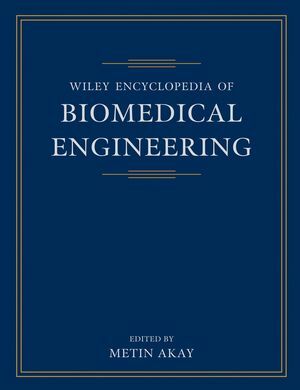 He is currently editing several books on "Genomics and Proteomics Engineering in Medicine and Biology" and "Neural Engineering" with the Wiley/IEEE Press. His current research interests at the ASU Neural Engineering and Informatics, Wearable Technology and Sensors Labs include the dynamics of motor function in Parkinson and post-stroke disease subjects, and the effect of developmental abnormalities and maturation on the dynamics of respiration. Adhesion of Cells to Biomaterials. Allogenic Cells and Tissues . American Institute for Medical and Biological Engineering. Aortic Stenosis and Systemic Hypertension, Modeling of. Arterial Blood Pressure Processing . Artificial Kidney, Modeling of Transport Phenomena in. Atrial Fibrillation and Atrial Flutter. Batteries for Implantable Biomedical Applications. Bioactive Glasses and Glass Ceramics. Bioenergetics and Systemic Responses to Exercise. Biological Neuronal Networks, Modeling of. Biomedical Products, International Standards for. Biomolecular Layers: Quantification of Mass and Thickness. Bio-Optics:Optical Measurement of Pulse Wave Transit Time. Blood Flow Simulation, Patient Specific in-Vivo. Brain Function, Magnetic Resonance Imaging of. Cell Adhesion Molecules: Conversational Signallers. Complexity, Scaling and Fractals in Biological Signals. Computer Assisted Radiation Therapy (CART). Deformable Objects, Interactive Simulation of . Dentin-Enamel Junction of Human Teeth. Diabetes Care, Biomedical and Information Technologies for . Electric Impedance Imaging, Injected Current. Electrical Activity in Cardiac Tissue, Modeling of. Electrical Impedance Technique for Cryosurgery Monitoring. Electrical Impedance Tomography, Induced Current. Electromyography (EMG), Electrodes and Equipment for. Electromyography (EMG) of Pelvic Floor Muscles. Epithelial Pre-Cancers and Cancers, Optical Technologies for Detection and Diagnosis of. Ethical Issues in Biomedical Research. Evoked Potentials, Adaptive Filtering of. Flow in Healthy and Stenosed Arteries . Functional Electrical Stimulation (FES) for Stroke Rehabilitation. Functional Optical Imaging of Intrinsic Signals in Cerebral Cortex. Gait Retraining after Neurological Disorders . Gene Expression Profiles, Nonlinear System Idenitification in. Genomic Networks: Statistical Inference from Microarray Data. Haptic Interaction in Medical Virtual Environments. Health Care Technology for the Developing World. Heart Rate Variability (HRV): Nonlinear HRV. Heart Rate Variability (HRV): Sleep Disordered Breathing. Human Brain Interface: Signal Processing and Machine Learning. Human Nervous System, Noninvasive Coupling of Electronically Generated Data into. Hypertension: Time-Frequency Analysis for Early Diagnosis. Information Retrieval in Biomedical Research. Ionizing Radiation, Biological Effects of. Magnetic Resonance Current Density Imaging. Magnetic Resonance - Electrical Impedance Tomography. Medical Devices, Design and Modification of . Medical Devices: Regulations, Codes and Standards. Medical Robotics in Surgery . Metabolites, Noninvasive Optical Measurements of. Multimodal Presentation of Biomedical Data. Myoelectric Control of Powered Upper Limb Prostheses. Myoelectric Manifestations of Muscle Fatigue. Neural Control of Assistive Technology. 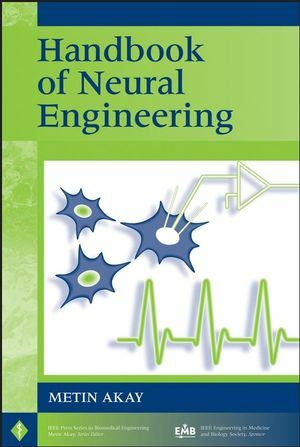 Neural Networks: Applications in Biomedical Engineering. Neuromuscular Coordination in Gait, EMG Analysis of. Obstructive Sleep Apnea: Electrical Stimulation Treatment. Parametric Adaptive Identification and Kalman Filter. Piezoelectric Devices in Biomedical Applications. Platelet-Rich Plasma in Bone Repair. Protein Structure, Folding, and Conformation. Pulmonary Medicine, Applications of Biomedical Engineering to. Radiofrequency Energy, Biological Effects of. Resorbable Materials in Orthopedic Surgery. Sampling Theorem and Aliasing in Biomedical Signal Processing . Scaffolds for Cell and Tissue Engineering. Sensor Biocompatibility and Biofouling in Real-Time Monitoring. Sleep Apnea: Detection and Classification of Infant Patterns. Spasticity and Upper Motor Neuron Dysfunction. Substrate Arrays of Microelectrodes for In Vitro Electrophysiology. Surface Electromyography (EMG) Signal Processing. Technology Assessment of Medical Devices. Telemedicine in Emergency Medical Services. Telemedicine: Teleconsultation between Medical Professionals. Thermal Conductivity Measurement of Biomaterials. Tissue Engineering of Blood Vessels. Tissue Engineering of Cardiac Tissues. Tissue Engineering of Kidney, Bladder, and Urethra. Titanium and Titanium Alloys . Transcutaneous Magnetic Coupling of Power and Data. Transport Across Endothelial Barriers, Modeling of. Ultrasonic Imaging of Carotid Atherosclerosis. Ultrasonic Transducers For Medical Imaging. Vascular and Capillary Endothelium . Venous Air Embolism: Detection via Wavelet Transform. Ventilatory Pattern Variability in Mammals.